A poster at ENENEWS mused a question...."just imagine how much heat 7 Billion human produce per day". 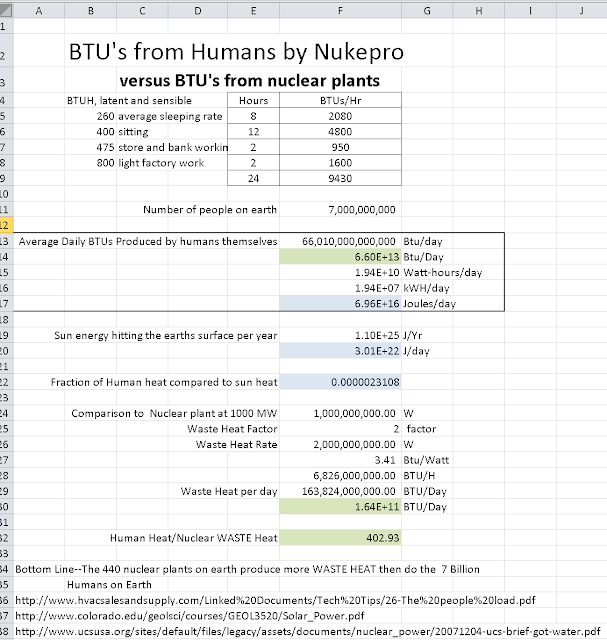 Nuke plants are very inefficient at producing usable energy. For every 1 kWH of electricity they produce, they produce twice as many kWH of waste heat. 400 nuclear plants produce more waste heat than all the humans on earth. And nuclear only supplies about 2% of the power on earth. Thus proving "The Matrix" wrong....humans don't make good batteries. Humans could only supply about 2% of the power the world needs. Proof here, pretty simple to follow, source information at the bottom. 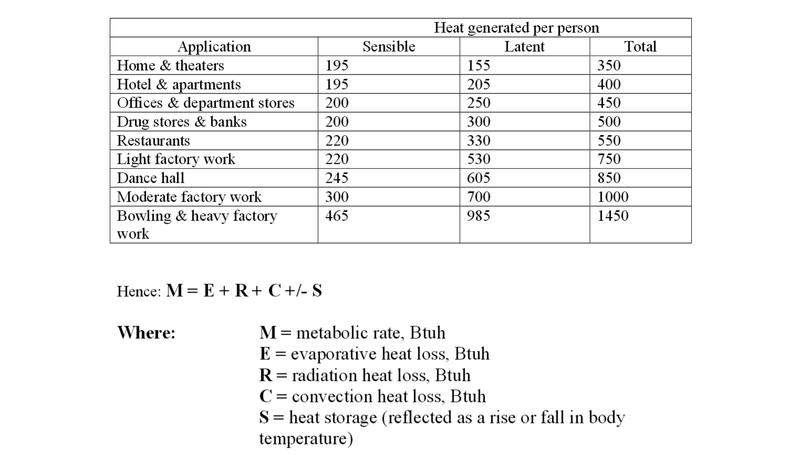 I say screw the heat output of both the nuke plants and humans combined. That is so trivial in comparison to all of the in your face abuses we are doing to our little space marble. Deforestation, Over hunting/fishing/poaching, the astronomically excessive uses of fertilizers "destroyed water ways and ocean dead zones". The dumping of conventional garbage like plastics and rubbers and other toxic long lived garbage literally everywhere by the millions of tonnes annually. Production of millions of harsh chemicals in the millions of tonnes annually in facilities with little to no regulation that just dump the byproducts and waste into the environment "PCB's and dioxins anyone?". The ocean and land dumping of radioactive waste.? The on going "legal" nuclear waste pipes into the oceans from reprocessing facilities. The production and use of nuclear weapons from hydrogen bombs to DU munitions in staggering amounts. The several hundred plus run down leaking nuke plants globally that also spew out during refueling constantly. All of the current uncontrollable on going and unsolvable unclean able nuclear disasters. The list just never stops, I have not even covered a tiny bit of it all. Holy phuck! What is wrong with us? We wonder why 1 in 2 will get cancer? We wonder why our world is in shambles and everything around us is going extinct? I mean, how blind do you have to be!? Our "leaders" say everything is fine and we're on top of the world, the best it's ever been…. This is great news; this is a remarkable piece of work...Wow! Comments that add no value or are just downright insulting will be moderated. If you have an alternate point of view, please present. If your intent is to troll, you are wasting your time. stock out. Wakarimasen? please elaborate in English or your own straight language. a simple comment about trolling. should be "Everyone you meet is fighting a battle you know nothing about." Nukers do not care abput the human ramifications of their lies. They do not care about the many peole on enenews and other sights sites who have or have struggled with cancer or radiogenic illnesses. Then there are people who are so pissed off about nuclear they become narrow minded too. tremendous waste of energy. peoples and other living things lives too. (not new, yet that much is now clear).